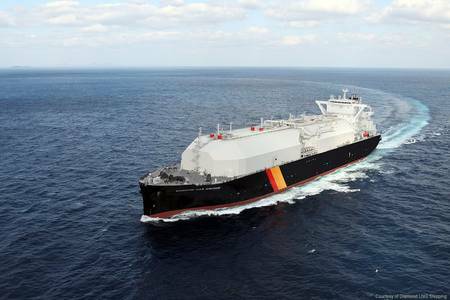 Commonwealth LNG has received commitments from European buyers to take almost half of the liquefied natural gas (LNG) from its planned 8.4-million-tonnes-per-year export terminal in Louisiana, Chief Executive Officer Paul Varello said on Wednesday. "We are exchanging documents with counterparties that will represent three to four million tonnes" of capacity, Varello told Reuters in an interview, adding he expects to sign so-called heads of agreements (HoA) shortly. "We have to work hard to get closer to the full 8 million tonnes in heads of agreements to allow us to feel good about getting 6 million tonnes in final agreements," he said, because prospective buyers are overcommitting to projects. "Our bankers say that if we can decent pricing with 6 million tonnes that will give us enough debt coverage to make it work," Varello said. Varello said the company will process natural gas into LNG at the terminal at "well below" $2.50 per million British thermal units for buyers signing 20-year supply contracts.